Dark circles are one of the most commonly hated skin imperfection amongst women of all ages. Together with my favourite eye cream; Algenist Complete Eye Renewal Balm, The Opatra DermiEye device, promises to significantly reduce the appearance of dark circles, under eye bags (puffiness) and even fine lines in just a few weeks! The unique technology uses your own skin current (the electricity in your skin!) to send pulses through your skin and helps absorb the creams. The vibration massage stimulates blood circulation within the blood vessels underneath your eye area and helps regenerate cell connection. Thus transferring the goodness within the eye cream straight to your blood stream and be absorbed so much faster, so you see the effects much quicker! Placing your fingers on the metal plate on the rear of the device and the head of the device onto your eye area and you've completed the electrical circuit! The device will then begin to vibrate, stimulating your blood cells (god, this sounds wrong!) and encourage the skin to absorb the cream/serum of your choice. I haven't used it continuously yet, but it has now found its place within my evening skin routine and shall see me eye-bagless by the end of the month (hopefully)! For such a small device, it's got big promises! For the few times I have used it (for about 5 days in a row), my under eye area did feel a lot brighter and less corpse-looking, so already I was seeing results. I was using my eye cream for about a month before I started to use the DermiEye device and did not see results anywhere near this quick, so it definitely is helping the balm to work its magic! 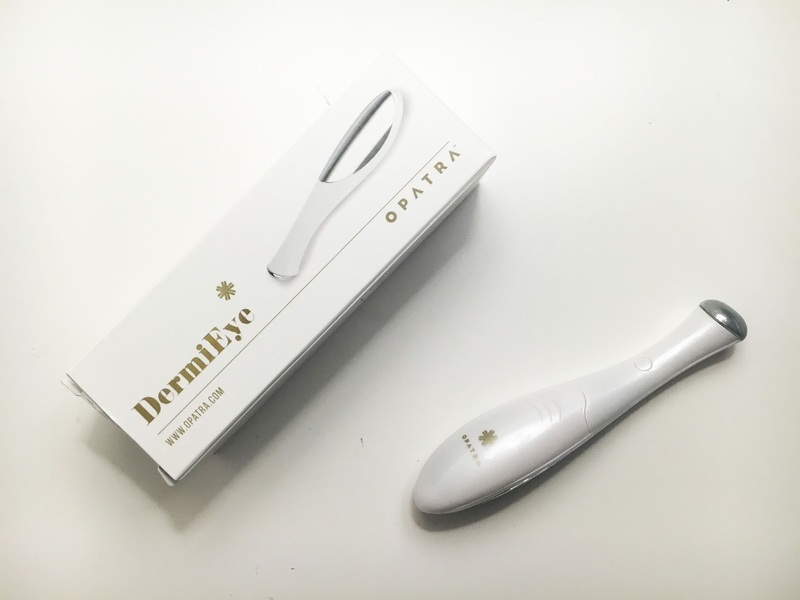 Opatra also made DermiSonic devices which use red, blue and green LED light therapy to help with ageing, acne, dark circles, uneven skintone, aids lyphatic drainage and much much more! They look amazing, I really need to get my hands on one! 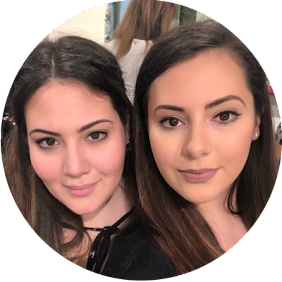 Having used the illuMask red light therapy anti-ageing mask, I know the benefits of LED light therapy and the wonders it can do for your skin after just 15 minutes of use per day. Do you have under eye dark circles and have found a trick to get rid of them? For using only 5 days and noticing an improvement is very impressive! !